Exams are fast approaching, everyone's hunkering down to study. We've been holed up inside the apartment studying from morning till evening. It is exhausting, but kind of satisfying at the same time. Anyway, for most people, stress comes along with stress spots - namely, pimples. From my teenage years, I found this little zit buster that works amazingly. How did I find it? I read in a magazine once that the entire cast of Buffy swears by it. I thought, well, if it's that good, I must try it! The Origins Spot Remover, available at any Origins store or counter, is one of the best acne treatment gels I have ever tried (and trust me, I've tried quite a few). It gets rid of difficult spots within a couple of days, easy spots overnight, and (to me, this is the best part) gets rid of that little bump you know is going to turn into a pimple, by the time you wake up in the morning. When you first apply the gel, you actually feel quite a bit of a sting. But it goes away in a while, and it smells amazing. 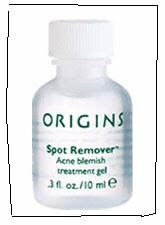 Origins Spot Remover retails for about RM 50 at Origins counters in Malaysia. I can't remember just how much it sells for in Melbourne, but here is an eBay listing selling it for AUD 18.95 (free postage to Australia only). Give it a try, and let me know what you think! For those of you with aggravated acne issues, I recommend seeing a dermatologist. Acne treatment is in no way invasive. Most times, they just prescribe a vitamin supplement. The worst that comes from it (and only in some cases does this happen) is that your lips and skin get a little dry. Nothing that can't be fixed with a higher water intake, which we could all benefit from, and some moisturizer. But I'm no expert, make an appointment with your local dermatologist and find out. 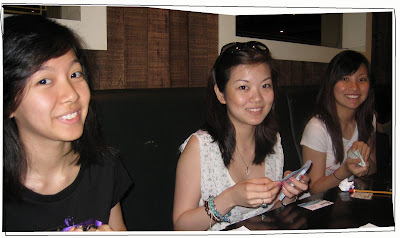 Look out for my post on skincare, coming soon.